Travel workout kits helps you when you are at home or out for any outdoor activity and don't want to skip from your regular exercise. There are numerous brands producing travel workout kit and it comes ina very affordable price. 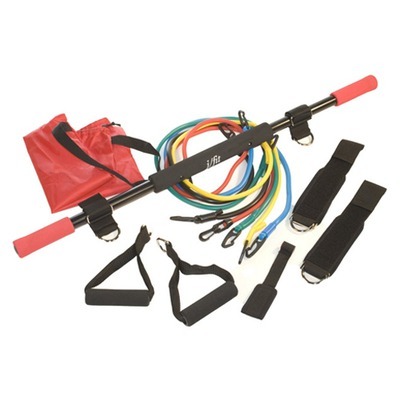 Travel workout kits generrally includes j/fit bar, 5 different resistance cords, door anchor, two ankle straps, two handles, instruction guide and a carry bag.